Our Travel Cravings: How would you plan a day trip to top tourist places in Jaipur? Here's how we did! 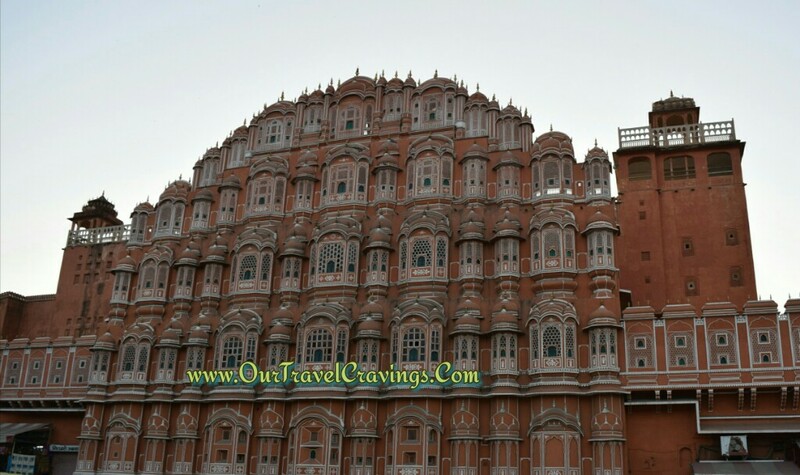 How would you plan a day trip to top tourist places in Jaipur? Here's how we did! Our September trip to Jaipur left an everlasting impression. There is definitely a royal touch, a mystic sense of royal aura that oozes out of its Rajputana "Royal" culture, tradition and people as well. 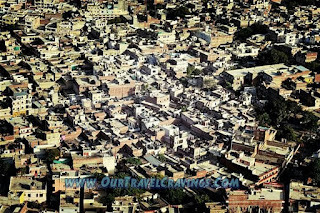 Although the city has evolved as a modern capital of the state of Rajasthan, what amazed us is the manner in which the history of the "pink city" with its grandeur has been kept intact. 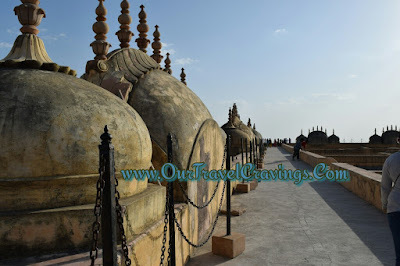 First things first, if you are looking to visit Jaipur then it has to be ideally in winter and at least not in summer! All the places mentioned below are outdoor visits so there is no way one can bear the brunt of the heat and enjoy these places at the same time! Jaipur gets really hot in summer. Secondly, hire a cab! That's the best way to have flexibility as well as convenience. 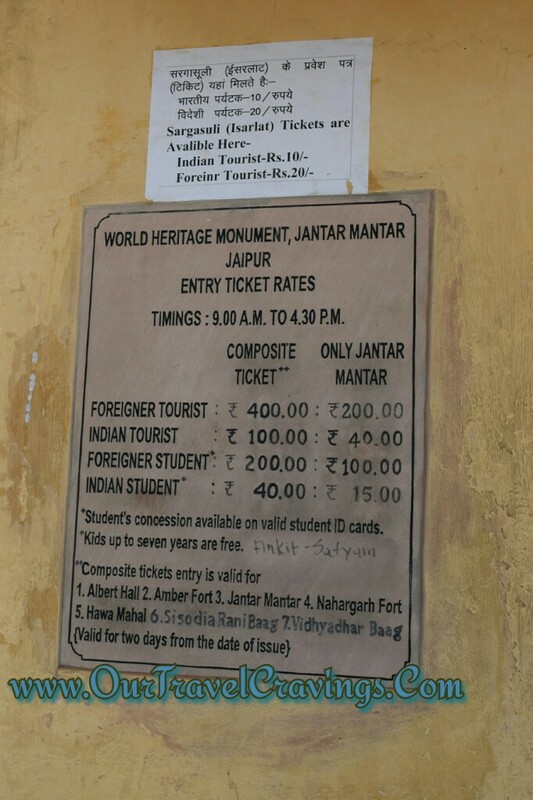 Mind you, at some places like Nahargarh Fort you would not find cabs or any other means of transportation available. Hence it is wise to pre-book a full day cab in advance. Finding a cab for a day tour in budget is sometimes not easy. Hotels charge exhorbitantly! There's luckily a save though. We booked an Ola Cab for a short ride from our hotel on M.I. Road to Jantar Mantar and during this short trip we negotiated with the driver for a full day tour. (The previous day we had already inquired about the market rates for a full day cab). He agreed and logged out of his Ola app to tour with us for the whole day. It was definitely a win-win. We have noticed that drivers of Ola/Uber and other standard operators are usually polite enough and refrain from ripping us off and we suppose one of the reasons is that we can give driver ratings and reviews on their respective apps! Make sure to buy the composite ticket - a single ticket which gives you access to all these places. We'd mentioned and also shared a picture of the composite ticket in this previous post. Jantar Mantar hosts the largest sundial in the world. We were absolutely amazed how our ancestors managed to develop such an accurate and advanced astronomical system. Without a guide we would have not understood anything so a guide is must here. The rates of guide are fixed by government at around Rs. 200 for a human guide. Audio guides (earphones) are also available at a fixed price and they are perfect for solo travellers. 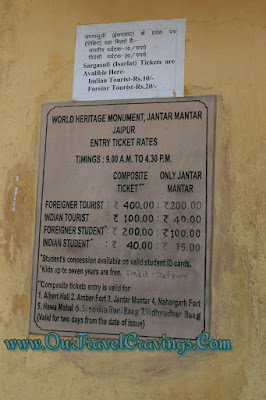 We noticed that the guides could speak quite a few languages apart from English and Hindi. The audio guides are available in a few foreign languages as well like Spanish. Amer Fort is perhaps the most talked about place in Jaipur. It is big, really big! 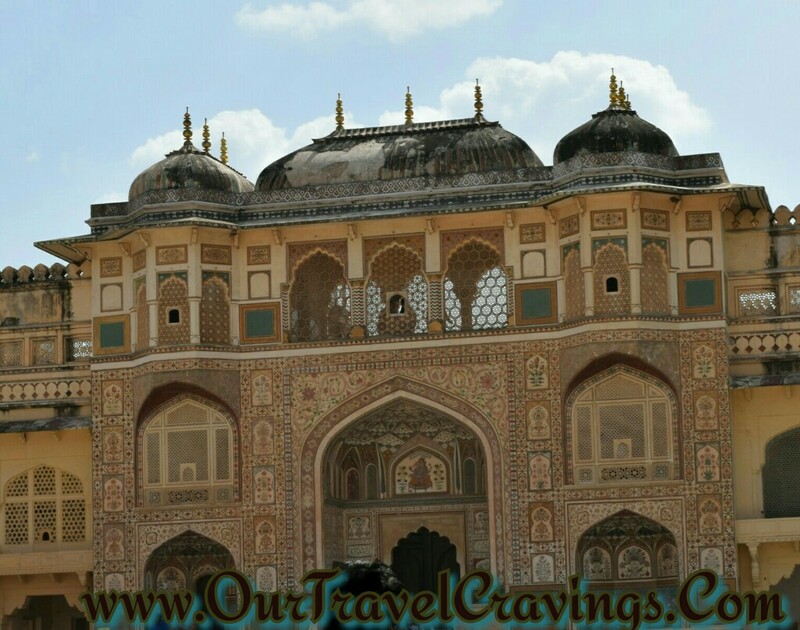 And there are lots of things to see inside ranging from, lets say the Sheesh Mahal to the palace of concubines! The Sheesh Mahal was a stunning visual treat. A guide can help here but is not absolutely necessary since there are important notes put all over for reference. There is a facility of hiring elephants to reach the Amer Fort from the base. We didn't hire the elephants because we were not sure how they're treated or fed. Also the terrain is not even. Elephant rides at Amer Fort have been a controversial issue since long from the perspective of animal activists. 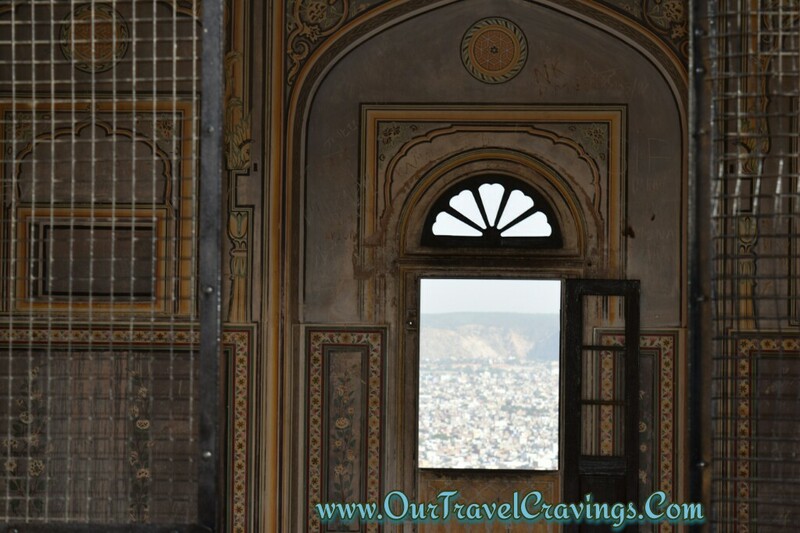 Amongst all, the Nahargarh Fort we'd say was the stand-out place of interest. Although it is the farthest , Just don't miss it! 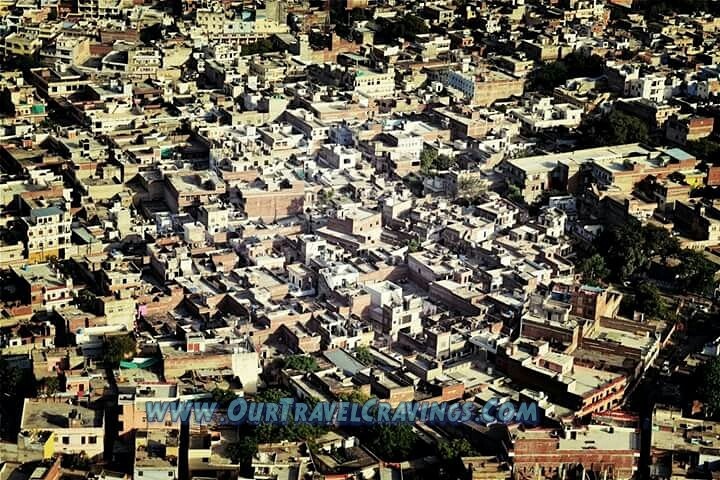 From Nahargarh Fort you'd be able to have a bird's eye view of the entire city of Jaipur and indeed it looks incredible! In fact you can also distinctly identify the pink parts of the city. It gives a sniper like feel and it is the whole city in one frame. Absolutely phenomenal and breath-taking scene! We observed Jal Mahal from a distance in the evening and it looked truly unique with the perfect reflection on the clear waters. It almost seemed like history has been captured in a frame till eternity. 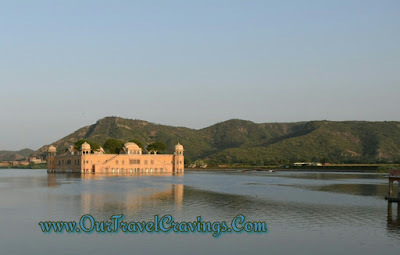 Although we heard that the structure of Jal Mahal is in a sorry state, we found it perfect to be revered from a distance - the banks of the Man Sagar lake.The Hawa Mahal was cherished on our return from across the market street. We have already seen so much of it in pictures that it didn't really amaze us as much as it should have. But still a great place to grab a few camera moments! The structure which resembles the crown of Lord Krishna is indeed unique. We walked across the markets from here on and it was satisfying evening walk. The markets of Jaipur are definitely the most imminent part of the Rajputana culture. We saw a brief glimpse of the Birla Temple only from the outside so can't comment much on it. 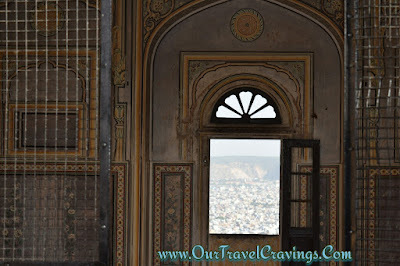 To know more about what we liked best about Jaipur, here's the link! Give us a smile by sharing, liking and subscribing to our posts! To contact us for any ideas, suggestions, queries or simply to say Hi!